The Fairy Tail Anime / Manga characters do not exist here. Fairy Tail Face Claims are allowed though! The kingdom of Fiore has risen from the ashes after many years of civil unrest. The Magic Council has gained new additions, and the Guilds are growing in power once again. The Legal Guilds represent the light side of the magical world while the Dark Guilds cast large shadows over the land as they fight for power. While the people of Fiore may have calmed down, the Legal and Dark Guilds have not forgotten the battle. Both sides know that this is but the calm before the storm, and are trying to gather as many powerful and talented Mages as possible. The search for powerful hidden artifacts and forbidden rites continues, and soon many of Fiore's secrets will be uncovered. In these strange times, many Mages have become ambitious and intend to influence the magical world greatly and in different ways. Many dream of creating a Guild of their own, becoming a Wizard Saint, attaining glory and fame. Others dream smaller dreams, finding a place where they belong, the path they are to walk, the person they are to be with. This world, full of adventure and greatness is within reach. All you have to do is extend your hand. Welcome to Fairy Tail Forever! This is a brand-spanking-new Rp forum straight from the minds of fellow Fairy Tail lovers such as yourself! Here at FTF, we want just one thing. To have fun! Were here to bring you the Fairy Tail experience that you've always longed for! You can do a variety of things such as..
Do you have a special magic in mind, or one that you thought would or should have been in the anime? You can make it here! We currently have numerous Dragon Slayer spots open, and we accept custom types as well! If you don't want to join one of the guilds that are already established, you can make one of your own! You'll have free reign about how your guild runs, and how you want to make it! You can make your own version of Fairy Tail, or one of the sinister dark guilds! Do you want to make your own Team Natsu? Or one just like it? Well you and your friends can make your own team to take down all kinds of baddies! Create Unique Equipment & Pets! Here at FT Forever, you can make or buy powerful and strange weapons, armor, and pets to help you out in battle! Can you use that creative mind of yours to make the ultimate weapon, or the cutest creature alive? Ever wanted to go on one of the signature jobs that are often seen in Fairy Tail? Here, you can! We've got missions galore, and we just keep adding more! We have put our own spin on the dice rolling use in combat by adding different techniques that you can use to spice up your spells and your posts! 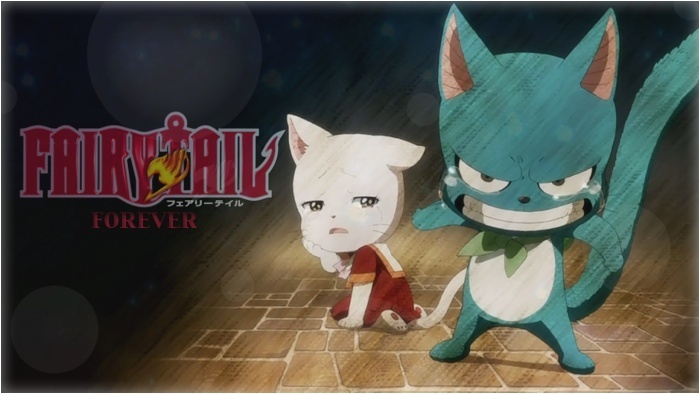 There is a lot to offer here at Fairy Tail Forever, and we can't wait to share it with you! If your interested, please click the picture above!